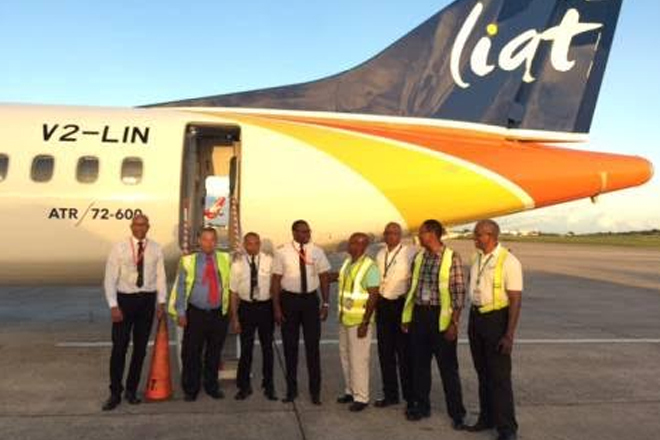 Regional carrier LIAT recently welcomed its tenth ATR72 aircraft at the V.C. Bird International Airport in Antigua. The brand new 68-seater aircraft carrying the tail number V2-LIN, was piloted from Toulouse, France, by Captain Philemon Gunsam and First Officer Rawle Francis, both of Antigua. Accompanying the crew were engineer Robert Collins and quality manager Conrad William Lewis.